Image Source: Freedom House, Flickr, Creative Commons Feb. 23, 2012. EXECUTIVE SUMMARY: The desire of the international community to end the Syrian civil war is offset by the inability of any individual party to enforce its preferred solution. The conflict, which is likely to continue for some time, has solidified the centrality of Russia and Iran in regional affairs. Israel’s options are limited. Russia emerged as a beneficiary of the lingering Syrian crisis even before its military intervention in September 2015. It was successful in providing the diplomatic mechanism that enabled Obama to renege on his ultimatum against Assad’s use of chemical weapons, and has effectively defended the Assad regime at international fora. The Russian intervention on Assad's behalf also signaled that Moscow is a reliable ally, a message that resonates well among the political elites of the Middle East and beyond. 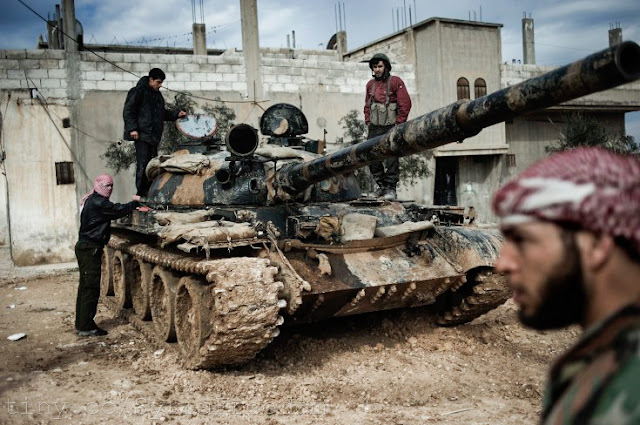 Turkey appears to be at a loss after several years of futile support for Syrian rebels. The destabilization of Syria has underscored Turkey's long porous border, which exposes the country to terrorist attacks. At the same time, the influx of a multitude of refugees fleeing the mayhem has exacted an economic price on Ankara. Turkey’s crucial support for IS has been gradually revealed, the full diplomatic cost of which remains to be seen. The Syrian arena provides Israel with diplomatic opportunities to nourish relationships with reluctant actors. Jerusalem must work under the assumption that Syria cannot easily be fixed and that conflict is likely to continue. Israel’s interactions within its strategic environment are inherently limited. The use of force, often inevitable in our neighborhood, must be carefully calibrated in light of domestic and international constraints. Dr. Efraim Inbar, Director of the Begin-Sadat Center for Strategic Studies, is professor emeritus of political studies at Bar-Ilan University and a fellow at the Middle East Forum. This article was first published at BESA Center Website, April 06, 2016 and is republished on IndraStra.com with Original Publisher's Permission. All Rights Reserved by BESA Center.